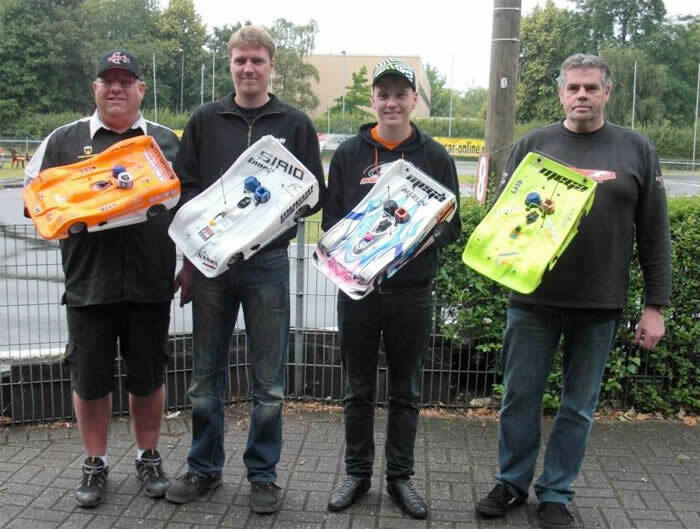 The overall 1:8 On Road championship took place from July 8 to July 12th in Hildesheim south of Hanover. 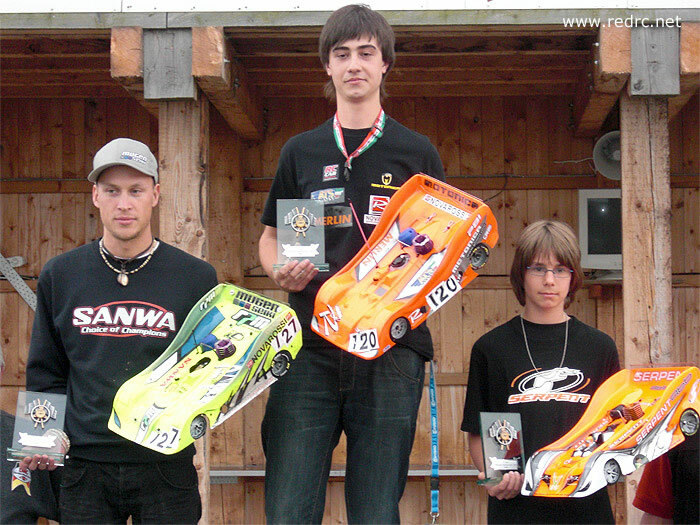 Last week the German championship of all regions was held at the track of Hildesheim. so we all had little practice but the track had a very smooth line all around and after some small changes to my setup from Lostallo the car felt really good, smooth and reliable. Once more, the rain was the unwelcome guest to the race. After a driver meeting the Race was stopped and they decided to count the race following the heats order. Bad Bresig, close to Bonn, held last weekend the 4th round of German West 1:8 Nats. Saturday was rainy, and no practice or qualifying was possible. The race director decided to offer two practice heats during Sunday Morning, once the track was dry. Steven Cuypers TQ’ed followed by Tobias Hepp who matched the lap time. 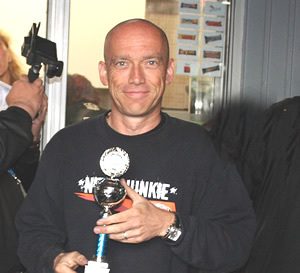 The Main final was quite difficult with lot of incidents that went on after the race itself.TQ Steven Cuypers, had to retire before half time and some other drivers got several collisons. El pasado fin de semana se celebró la 4ª prueba de la división Oeste del campeonato de Alemania 1:8 pista en el circuito de Hamm. La práctica fue casi inexistente durante viernes y Sábado debido a la intensa lluvia. 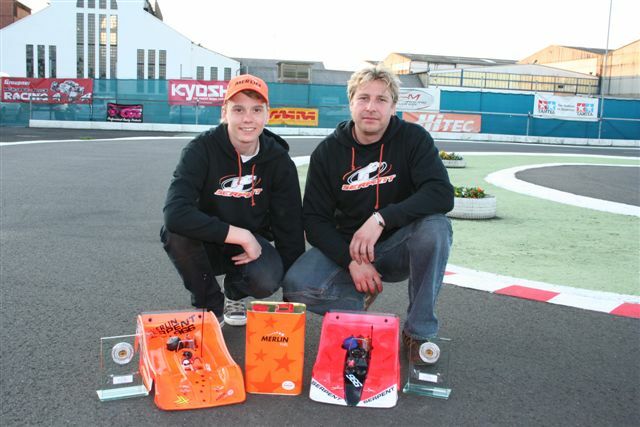 El Domingo, con pista seca se disputaron las clasificatorias, dominadas por Michael Salven con su Serpent 960 alimentado por Merlin Fuel, seguido por Steven Cuypers y el reciente campeón Europeo Junior Tobias Hepp, ambos con Merlin Fuel. Así pues, triplete descafeinado o pasado por Agua para Merlin Fuel en Alemania. ¿Vas a estrenar un motor? Te interesa leer esto. New distributor For China and Hong Kong. Copyright © 2019 Merlin News. Powered by WordPress and Stargazer.